Want to reach your customers and prospective customers today? They’re on their phones. 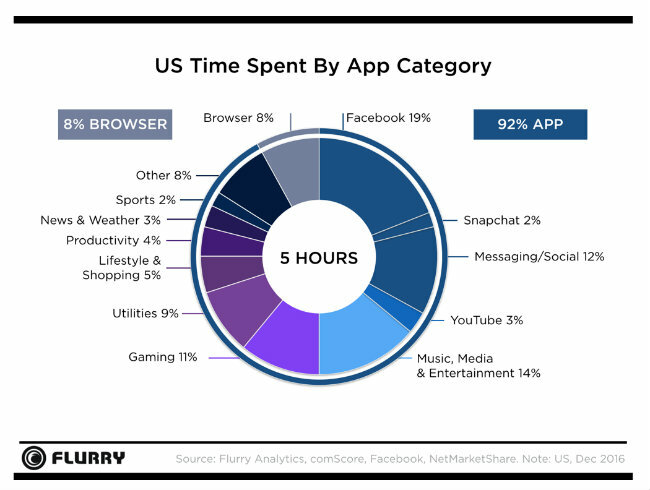 With data showing we spend on average five hours total per day on our devices (up 20% from Q4 2015), we’re all on our phones, and we definitely don’t leave home without them. With all these people on devices, having a mobile marketing strategy is a given when it comes to business success. What are people doing on those omnipresent devices? They’re using apps! Think for a minute about the apps you personally use daily and this won’t be so surprising. 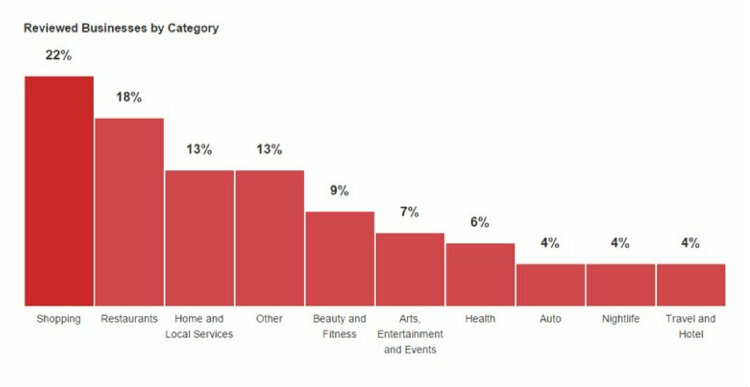 Take a look at the graphic from the team at Flurry, notice how Facebook dominates online attention? And when they’re not on Facebook, they’re on Spotify, Netflix, or a news site (consuming music, media, or being entertained), messaging or engaging in some other form of social media, gaming, doing something using an app (think banking, paying a utility bill, booking an appointment), or shopping. Customers on Mobile? What Tactics Should Propel Your Mobile Marketing Strategy? With practically everyone on the planet on Facebook, and more than half of them accessing the social network from their mobile devices, using Facebook as part of your mobile marketing strategies is a must. I was in Belize on vacation a few months ago and hired a boat captain based on finding him on Facebook, and the reviews other customers had left. In addition, all my communication with this boat captain was done by way of Facebook’s Messenger app. Who needs a phone, especially when you’re out of your home country, when you’ve got Facebook? If you’re a business owner, advertising on Facebook is a must, as Facebook is wholly a pay-to-play platform. Facebook’s Mobile Ads Manager App allows you to quickly and easily promote posts or create ads, check and monitor their progress, and modify if needed. In addition, getting customers to leave reviews on your Facebook page will go a long way toward building credibility with prospective customers. 500 million (or thereabouts) daily active users, 40 billion photos shared, 95ish million photos and videos shared per day. 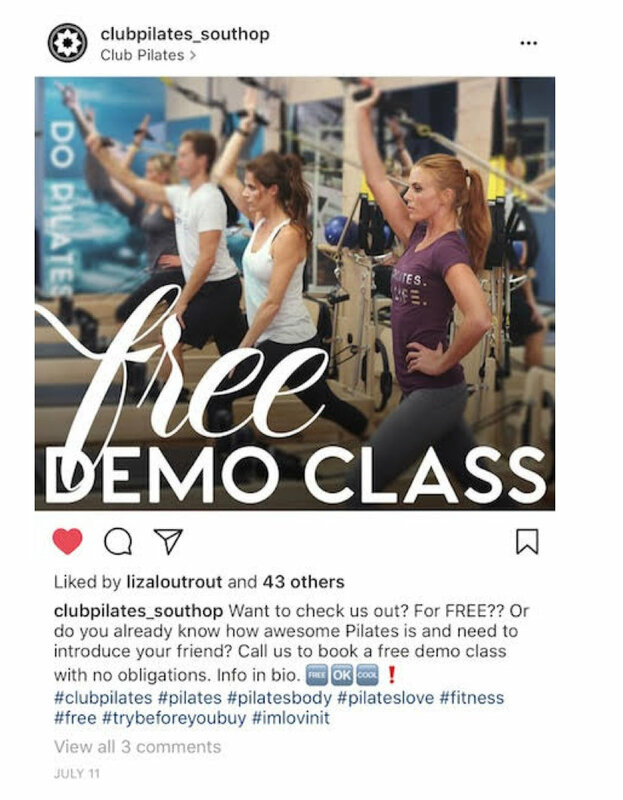 And when you add in the fact that Instagram is owned by Facebook, and that you can use the power of Facebook ad targeting as part of your Instagram marketing strategy, this is a platform (and a marketing tool) to pay attention to, whether your business is a small local one (like my friends at Club Pilates in South Overland Park, KS), or a national, multi-location one. If you’re using a bunch of different social media platforms to reach and engage with your target customer base, having a tool to manage those social platforms all in one place will make life more manageable for you and your team. Hootsuite and Buffer are two of our favorite platforms, allowing users to create, edit, and schedule posts on multiple social media platforms, including Facebook, Twitter, YouTube, Instagram, LinkedIn, and more from either the desktop or mobile device. You can use both platforms from either desktop or mobile device, so managing social on the go is a snap. Are you one of those millions of people who would rather text a business than call or email? You are definitely not alone—and many of your customers likely feel the same way. That’s what makes TextUs.Biz so valuable. It’s a platform that lets businesses (and teams) send or receive texts from a mobile device or from a desktop and is perfect for quickly answering customer inquiries or requests. It’s a great way for customers to get quick answers to questions, make or change reservations, etc. without having to call a business. Even better, you and your team can use TextUs.Biz from RingCentral, Salesforce, Bullhorn, and other platforms. TextUs is all about understanding our collective addiction to devices, and providing customers a way to connect with your business in whatever channel they prefer. Speaking of messaging, connecting with customers by way of Facebook’s Messenger App could not be any easier and it’s a smart mobile marketing tactic to employ. I buy things online on a regular basis and I’m also on Facebook on a regular basis. It’s awesome when immediately after making a purchase I get a Messenger confirmation of the sale. I know it’s done by way of a chatbot and not a real human being, but it doesn’t’ matter—I like it. It makes me feel like the sale experience is personalized and that the brand is on top of it, communicating with me by way of a platform I already know and use. I also like it when I get shipping notifications by way of Messenger so that I can track my package and know when to expect delivery. It also opens an easy channel for communication with the brand in case I have any questions or problems, or need to make a return. 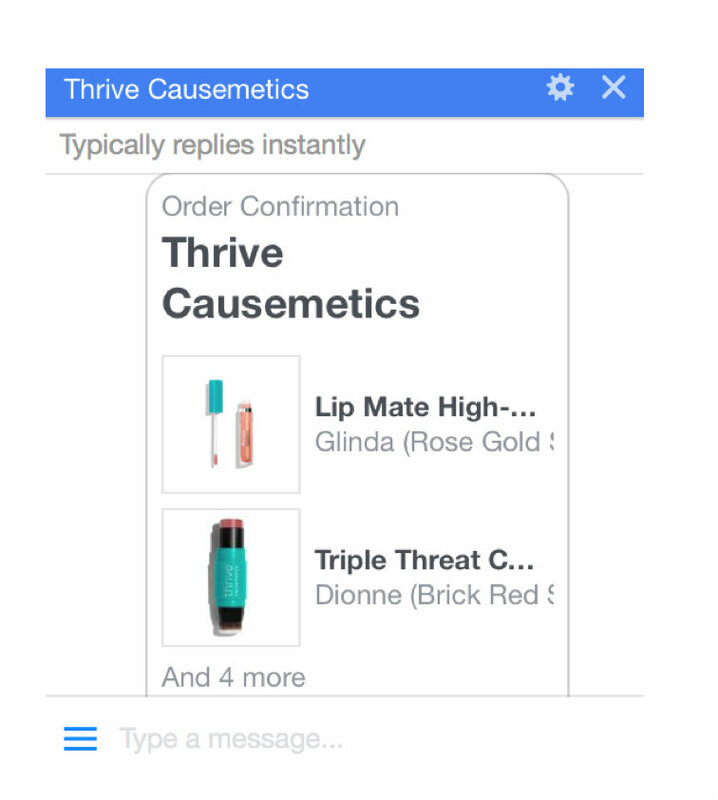 Integrating Facebook Messenger chatbot communications with customers is easy to do, and if you’ve not yet explored this, add it to your to-check-out list. Here’s a good reference for you on that front: How to Create a Facebook Messenger Chatbot For Free, Without Coding. I’ll admit that I’m a data and analytics freak, but it never ceases to amaze me when I run across people who don’t rely on Google Analytics and let the data they see there drive their marketing strategies. But beyond the value analytics provides in general, GA allows you to track everything that’s happening from a mobile standpoint including monitoring real-time engagements, reporting, customized segments, dimensions, campaigns, etc. Using Google Analytics as part of your mobile marketing toolkit is critical. If you’re not using it already, start. 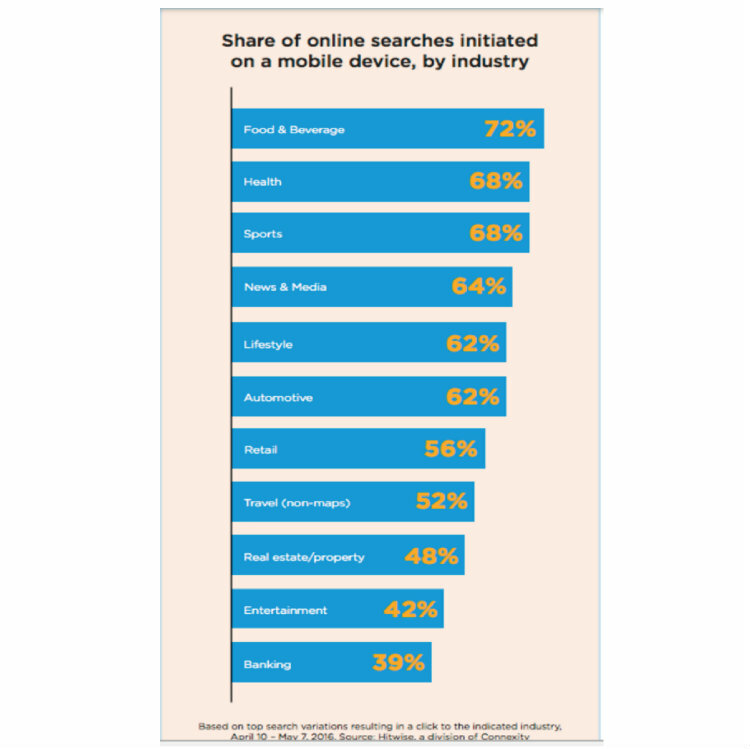 Speaking of Google, Google for mobile ads is also a key part of many marketers’ strategies. If you’re interested in ads on mobile phones or tablets, you can choose between text ads, image ads, app promotion ads, or HTML 5 ads built with Google Web Designer. If you’re interested in ads that appear within apps on mobile phones or devices, you can opt for the same text, image, or app promotion adds as mentioned previously, and in addition, you can explore image app promotional ads, video app promotional ads, TrueView for app promotional ads, or even call-only ads on devices that can be used to make calls. Here’s an overview from Google AdWords on exactly what these different things are, use cases, and easy instructions on how to get started. While Google tends to be the top option for advertising, it’s smart to remember that there’s more than one search engine out there. Don’t be blind to the fact that there are a whole lot of users out there who head to Bing rather than Google for their search queries. Bing mobile ads make it easy to strategically target cell phones and tablets, define the location parameters where your ads will appear, and ensure your site is mobile friendly. It is also less expensive to advertise on Bing, for obvious reasons, and definitely a way to add some oomph to your mobile advertising. No matter where you go or what you do, everywhere you look people are looking down at their phones. On busses during a morning commute, in airports, at dinner with friends, sitting on the beach, or walking down the sidewalk. And what’s captivating us so much—video. Video is estimated to make up 80% of all of internet traffic by 2019, and there’s every reason for your company, no matter its size and no matter is focus (B2B or B2C) to embrace video. You can create, share, and promote video on Facebook, Twitter, Instagram, Snapchat, and even LinkedIn, as well as in your business blog content. Make sure your videos are short (videos of :30 or less in duration seem to perform better) and interesting. Making it easy for customers to buy is what’s it all about—and that’s why adopting mobile pay in-store or at the point of purchase is important. Think for a minute about why ride hailing options like Lyft or Uber are so popular—one of the best parts about using these services is that consumers don’t have to make time to pay at the time of use, it’s seamlessly taken care of by way of a mobile payment system. Mobile pay transactions are predicted to reach 503 billion by 2020 (Business Insider). To break that down more, users of mobile payments in store is predicted to be 150 million by 2020 (Reuters), which will be 56% of the entire U.S. population by that time. The convenience of not having to carry cards or cash is a big deal for consumers, so adopting mobile payment solutions sooner rather than later will be helpful, pretty much no matter what your business. Creating mobile payment options, then providing inducements to get your customers to use them will benefit you all.